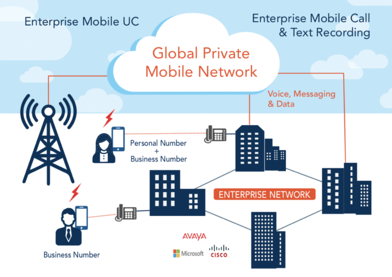 Tango Networks Blog What is a Global Private Mobile Network? Home > Tango Networks Blog What is a Global Private Mobile Network? A GPMN service creates a single mobile network that you can use to control mobile communications for your employees worldwide. That means it gives you the ability to manage users, enforce communications recording requirements, route traffic and enable business class communications on mobiles for all your users. Global - one mobile subscription for all your users worldwide, regardless of device, network, or location. Private - you alone control the mobile communications for your users, enforcing the authentication and security policies that you require. Mobile - puts you in direct control of mobile voice, mobile messaging, and mobile data for all employees everywhere. How does a GPMN work? A single pane of glass for you to manage all users' mobile communications. A single subscription and a single SIM for all mobile users worldwide. Direct control over communications routing, usage policies, security policies and authentication. Call control directly driven by your existing communications platforms, such as those from Cisco, Avaya, Microsoft and others. The service provides these capabilities through the integration of our award-winning Kinetic Cloud call control technology with the SIM-based global mobility solution from our recent acquisition of Simetric Telecom. The cloud-based call control makes it easy to integrate the mobile services with your UC and other communications platforms. It also permits you to capture and record mobile communications with your compliance, quality assurance monitoring, and other systems. You can also integrate it with your business applications, permitting automatic call logging in your CRM system, for example. The SIM part of the service means you also can exercise network-level control and provide mobile native communication features for users. This means your employees will be able to use the native phone interfaces they know and like for all business communications, including features like call forwarding and interoffice dialing. It becomes a simple and intuitive user experience, like they are carrying a desk phone in their smartphone. Contact us today to get a demo of the Mobile-X GPMN service and see how it will simplify and revolutionize mobility for your company today.